The McNutt House (circa 1826) is listed on National Register of Historic Places. The facility offers two venues for use individually or bundled. If you are planning an outdoor event you need look no further. 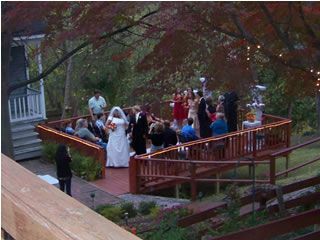 The McNutt House has a lovely terraced courtyard with multiple spots perfect for a small garden wedding. The large deck overlooking the gardens and water feature is shaded by one of the area's oldest Japanese Magnolia trees. 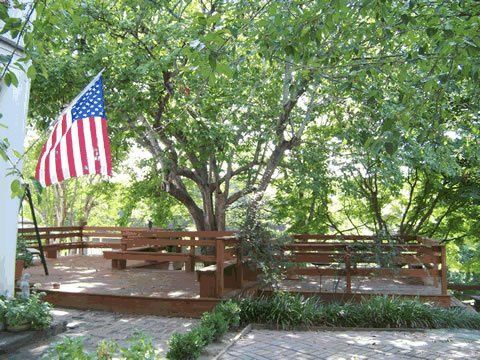 The paths, patios, deck and gazebo area offer ample mix and mingling space for medium (75-150 person) social events, reunions, retreats and company picnics. 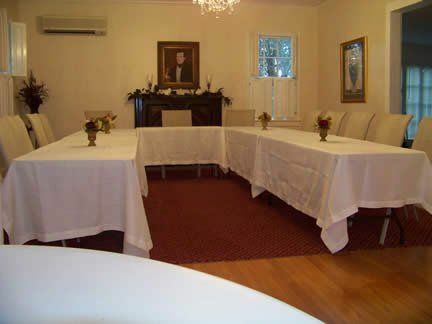 If you require indoor space Maggie's Hall is your solution. 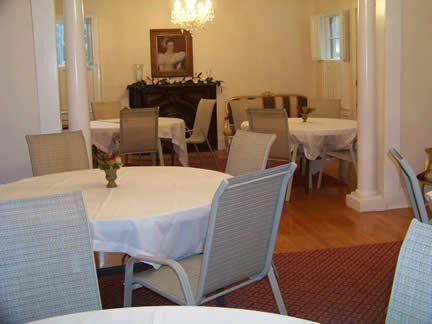 A spacious area amiable to any type function accommodating upwards of 70 persons for a social or banquet. It has an open floor plan, double door entrances facing the street and courtyard and a fully equipped galley style kitchen perfect as a preparation and staging area for luncheons and banquets. A limited number of suites are available for use as dressing areas or for out-of-town guests. 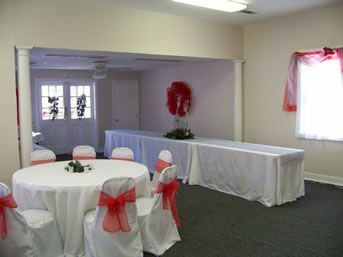 The, McNutt Suite is ideal for the Bride-to-be dressing chamber or as a hospitality suite. The facility also contains a gazebo area, grills, fire pit and a second full kitchen located in the Magill house available for use. Main House horse shoe set up for meetings. Wireless internet included. 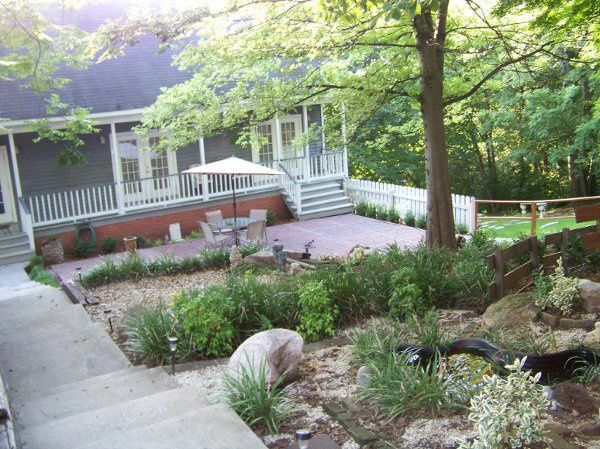 Courtyard entrance to large deck overlooking gardens and lower level patios. 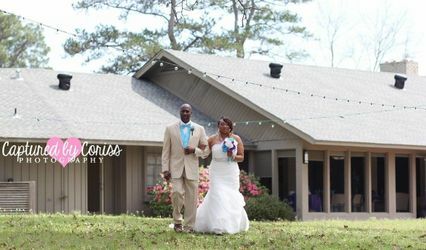 I used this venue for my nephew's wedding reception. This site is great for small groups. 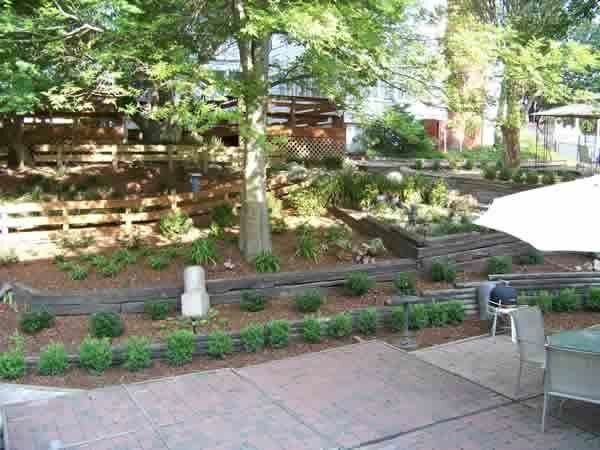 We had access to the Maggie house and the garden which was perfect for 75-80 guests. The garden is absolutely beautiful with plenty of shade. 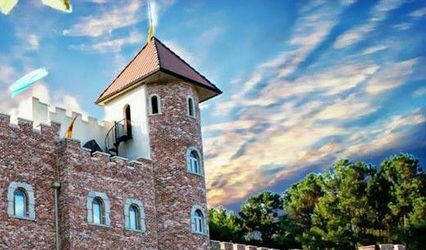 Our guests were comfortable and enjoyed the atmosphere. I enjoyed working with the owners-very nice.